If you plan on taking a walk on DeKorte Park's Marsh Discovery Trail any time soon, please look out for an aggressive male Red-winged Blackbird. It will perch near you and berate you, and if you don't move on quickly enough, it will whiz over your head from the back and scare the wits out of you (if you have any left). 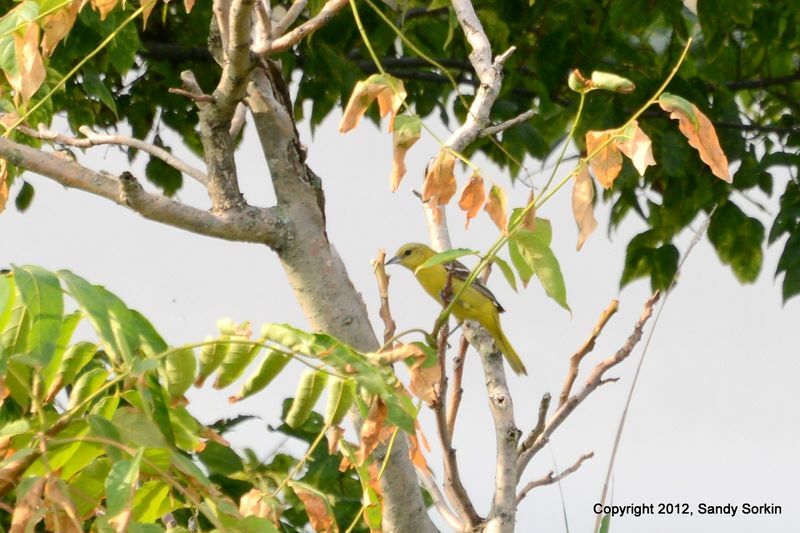 The bird is simply protecting its turf and youngsters in a nearby nest — just like last year. 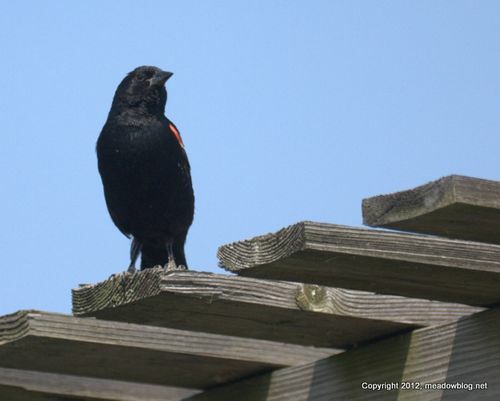 Link to post on last year's aggressive Red-winged Blackbird is here. 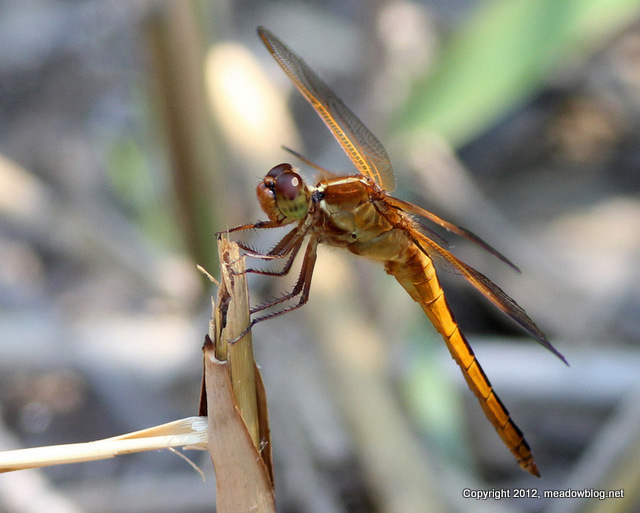 Our latest "Focus on the Meadowlands" post for the wildnewjersey.tv blog features this dragonfly up-close, an awesome Orange Sulphur butterfly and a pair of Great birds. 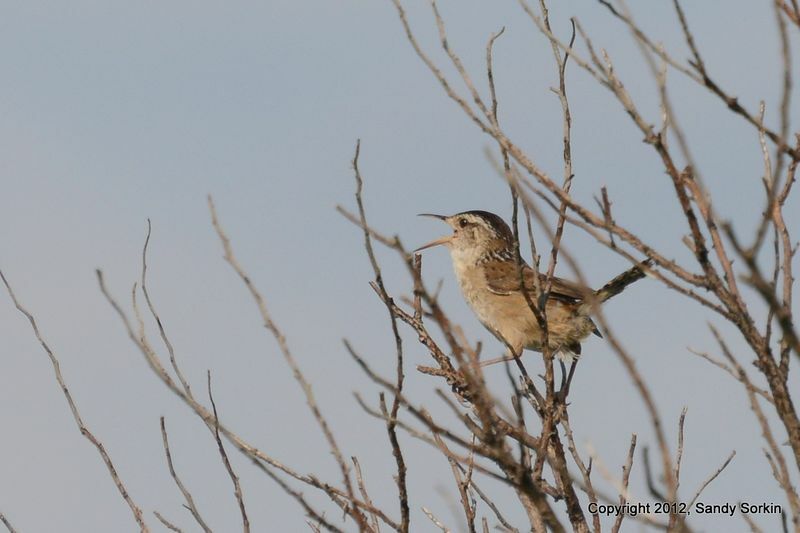 Sandy Sorkin was kind enough to share some of his latest photos from DeKorte Park. That's a Marsh Wren above and an Orchard Oriole hiding in plain sight below.